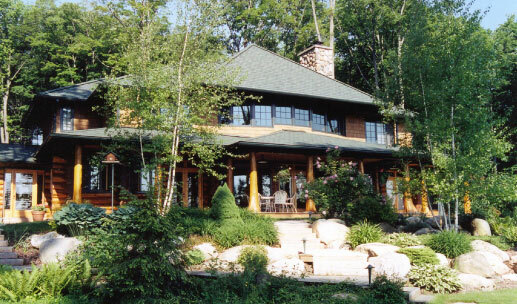 "Our Lake Charlevoix home that was designed and built with Poineau was our fourth homebuilding experience, and was an absolute pleasure. Andy Poineau and his team are creative, responsive and focused on quality. The craftsmanship is extraordinary. The items that needed follow up were dealt with quickly and effectively. Guests to our home are always very impressed with the design and quality. We are proud to say we live in a Poineau home. We have now been in our home for ten years; we love it!" "Creative architectural design, superb workmanship, and uncompromising quality are hallmarks of two projects (remodeling an old cottage, designing and building a new one) Andy and his team have completed for us." "My experience with Poineau Woodworker is difficult to describe. The product wasn’t just better than I expected, but better than I could have conceived of on my own. The quality exceeded anything I had previously seen to a degree that I was unable to understand at the time. We couldn’t conceive of Andy’s overall design for the house from drawings so he built us a model. As we built the house the overall quality of the design and construction became apparent. From the garage doors, to the cabinets, to the landscape design and everything in between our eyes got wider and wider as the project proceeded. The end product was nothing short of spectacular and beyond belief. In addition, they are good guys to work with!" "If you are interested in the highest quality work and you are fortunate enough to be able to afford it, we cannot imagine a better company to build your home than Poineau Wordworking. We really enjoyed working with Andy and his team on all details of our house and are very happy with the result – a truly beautiful home, uniquely ours."